President Trump is replacing US National Security Adviser HR McMaster with Bush-era defence hawk John Bolton. In a tweet, Mr Trump said he was thankful for Mr McMaster’s service and said he had done an “outstanding job”. Last week, Mr Trump fired Secretary of State Rex Tillerson via Twitter, replacing him with former CIA Director Mike Pompeo. 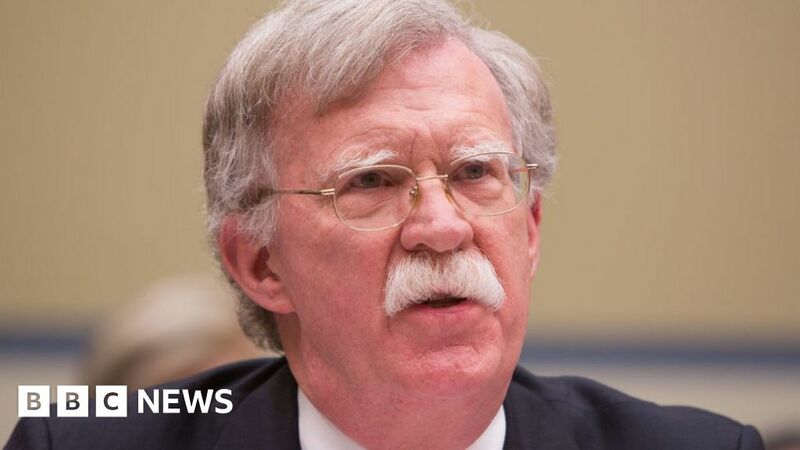 Mr Bolton, 69, has advocated military force against Iran and North Korea. He will be Mr Trump’s third national security adviser in the 14 months of the administration and is to take over next month. Mr Bolton has served in the Republican administrations of Ronald Reagan, George HW Bush and George W Bush. A leading advocate for the 2003 US invasion of Iraq, he has been a polarising figure in Washington. He is praised by hard-line conservatives as a straight-talking foreign policy hawk. At Yale University, where he studied law, he recalled in his memoir feeling like a “space alien” among the campus anti-Vietnam war activists.